Connect your computer, monitor or printer to a wall outlet without blocking other outlets. 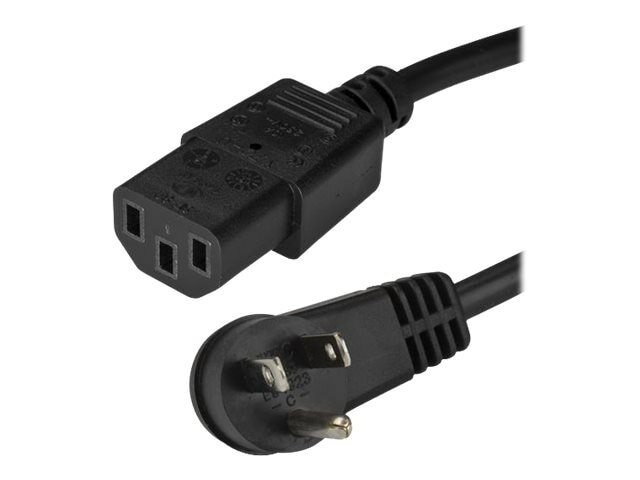 This NEMA 5-15P to C13 power cord features a right-angled plug, which positions the connector so that it doesn't block other available outlets. The cable is especially useful when plugging into a dual AC wall outlet, as it frees up the second outlet for another power cord. The high-quality computer power cord is designed to provide a durable, long-lasting connection to your peripheral devices. It makes a suitable replacement for worn out or missing computer, monitor or printer power cords.